Medline Remedy with Olivamine Antifungal Cream Targeted Treatment, is a member of the Remedy Skin Care products from Medline. 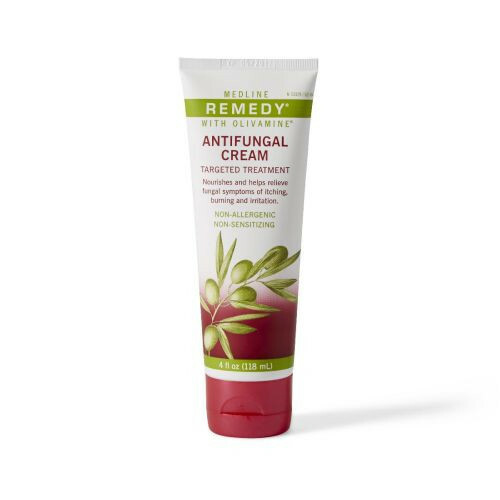 Remedy Antifungal Cream is designed to treat itching, burning and irritation caused by the most common fungal infections. These infections include athlete's foot, jock itch and ringworm. Left untreated, these conditions can progress to more serious types of fungus infections which can take a longer time to heal. 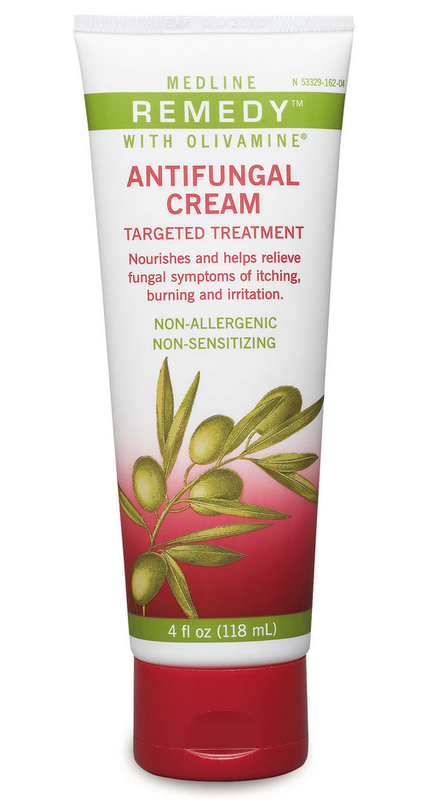 An excellent remedy to this is the use of an antifungal cream such as this product. 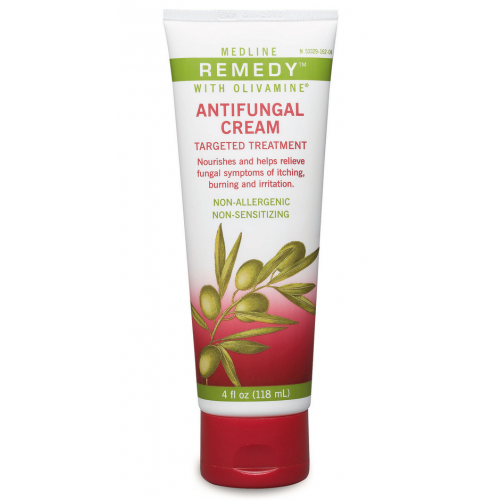 Remedy Antifungal Cream is designed to relieve burning, itching and irritation. This is done by a solution of active ingredients. These ingredients include cetyl dimethicone and a silicone that binds it to the skin. This product has an additional benefit of containing soothing aloe vera, olivamine and antioxidants like hydroxytyrosol to assist with soothing and skin conditioning. BUY Remedy Olivamine Antifungal Cream from Vitality Medical today. This product of Medline skin products , do they come in powder form other than cream? My husband is using it fro his rashes and it is is helping him excellent. the redness of the rashes are not as red before when he started using this product. I don't see it in powder form. do you have this in powder? Hello Mrs. McElwee: Medline does have a line of powdered anti-fungal cream. From our home site, click on our search bar at the top of the page and enter "Remedy Phytoplex Antifungal Powder." It should pull up the Remedy Powder formula for you.